I must confess that when I started to write this account I did not consider who the readership might be. As Hucknall Library has kindly agreed to put this in their Local History Section, it may be that the very people that I have written about could read this. The following pages are an account of my mining career from 1963 to the pit closure program in 1994. All the events and the people that I met are all true. As some workmates will be still alive today. 2006, I have changed their names to spare their blushes. They will undoubtedly recognize themselves. Chapter 23. K19s The Road To Hell. Chapter 24. A Magical Mystery Tour. Chapter 28. What's In A Name? Chapter 29. The End For Ollerton. Chapter 30. The Completed Tale. I suppose that I should start at the beginning; so here goes. I was a baby boomer and in the early 1960's jobs were not that easy to find, jobs with a trade at any rate. I failed the infamous 11 +, leaving my secondary modern school at nearly fifteen, without any qualifications of any kind and a second rate education. This didn't make me an employer's dream on their apprenticeship schemes. So, at just fifteen years of age I was written off as unsuitable. My Mother, my sister Anne and I wrote around about thirty speculative letters to prospective employers and only one replied The National Coal Board. Anyway, I sat the NCB entrance examination for an indentured apprentice electrician and passed. I was offered an interview and I must have made the right impression because I was accepted on their five year apprenticeship scheme. My fate was sealed. Why an electrician? Well I didn't know what to do and my best schoolmate Richard wanted to be an electrician, so I thought that sounds O.K, I'll be one too. He ended up working in a shop and I ended up as an electrician at the pit, funny how things turn out for the best. They must have made the right decision because I stuck it out until they threw my job away along with the pit closure programme. Thirty years at the sharp end, one of the elite, ending up as a Supervisory Electrician, with Arthur Jackson's team of hard rock headers. But I digress, back to the plot. Two weeks out of school and just fifteen found me at the NCB engineering centre at Watnall. There were about seventy five of us on this intake, white faced as we embarked on our working life. Watnall taught me an awful lot, not all of it good. Along with practical and technical electrical engineering classes, I learned how to smoke and swear like a seasoned professional. At Arnold and Carlton I learned about girls, it being a Co-Ed College. The first year was spent at the Engineering Centre for a week and Arnold & Carlton Technical College, for the next week. An unremarkable period, just like an extension of school. The remarkable times were during the college holidays when we had to go back to our collieries to work on the surface. These times came as a rude awakening for us young lads. I suppose all new youngsters when they start work get the piss taken out of them by all of the other workers, much to their glee. A favourite was to be sent to the stores for a long weight (wait) or a spirit level bubble, we didn’t know any better. A certain amount of horseplay was allowed on the surface such as dropping a lighted cigarette end in your boiler suit pocket and laughing as the unsuspecting apprentice sniffed at the smell of burning only to realise that it was him! Another favourite was to be suddenly grabbed and have the crane hook under your belt and hoisted aloft. Another trick was to remove your trousers and underpants before hoisting you aloft. Sounds sadistic? Yeah, but when I became the tormentor I did the same things to the young ones below me. It was a weeding out process really, to find out who was likely to make the grade, one of the guys. When your life depended on your mates, looking out for you, as you looked out for them. So this first year of my apprenticeship passed by without too much hassle. I passed at college and was sent on an Outward Bound Course to Aberdovey in Wales for a month, the youngest out of 150 on the course. I was just sixteen years of age and the first time away from home, alone. It all seemed far removed from Calverton Colliery where we gave the Yard Foreman the run around. We called him Blood Orange because he had a florid complexion; he detested his nickname and would go for anyone using it. The more he hated it, the more we taunted him, if he had just laughed along with it the fun would have gone out of the joke, no more names. 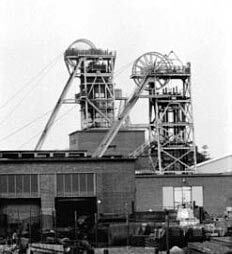 On my 16th birthday I was sent to Watnall Colliery to do my underground training. (Employment laws for 15 year olds stated that you couldn't work before 7.00 in the morning and after 18.00 in the evening. Not permitted to work more than 8.00 hours in a 24-hour period and not permitted to work underground. At 16 you were allowed to work underground under close supervision and at 18 you could do the nightshift). 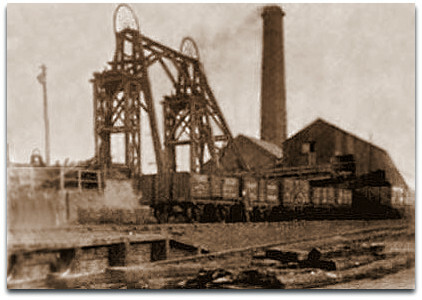 Watnall Colliery was a really ancient pit, the M1 now crosses the site and maybe there aren’t old timers left who knew its roads and coal seams. It had an old steam winding engine with one cage and a weight to balance the cage. This weight used to catch on the side of the shaft to add to the experience. I'm sure that with a load of trainees about to descend the shaft, the winding engine driver would know and give us a gut wrenching ride. Ride the shaft at Watnall and you can ride the shafts anywhere; the day after our first ride, more than several faces were missing never to repeat the trip. Once ‘Down Pit’ we went through all the things that could kill and maim you, to which we paid close attention. We learnt things like how to locker a speeding tub, to unclip/clip tubs to a running haulage rope, why not to have a foot each side of the haulage rope as they tended to bounce, sometimes hitting the roof. The lone, long suffering pit pony was pressed into service whilst we took his harness off and on all day; although he did well from our lunch boxes. An old miner walked around telling us all we needed to know and some things more irrelevant like the resident ghost Cobweb Joe. It sounds silly now, but unused to all the shadows, it did seem quite feasible and he was awfully convincing. We got through our underground training and the following Monday morning found me at half past five waiting on a draughty street corner waiting for the Makamsons’s pit bus (known as Macko's). It was one shilling and three pence return and the conductress was Fag Ash Lill, as rough as nag nails. Always with a cigarette in her mouth and when the bus went over a bump the ash dropped off onto her navy blue uniform jacket. She always was the same, a real character, with a heart as big as a bucket. Lest you think that it was something of an adventure, it wasn't. I didn't want to be here going to the pit in the lightening dawn with fifty years of working life in front of me. I was just sixteen going to a strange place with strange faces everyone knowing what to do and where to go. Everyone who has had to go through the experience will well know the feeling, the new boy, fresh faced with a new helmet, boots, belt and a shiny, new tool bag. They didn't take prisoners. You put your pit boots on and just got on with it. In that first week I grew up, fast. No longer a boy, now a man, in a mans world!